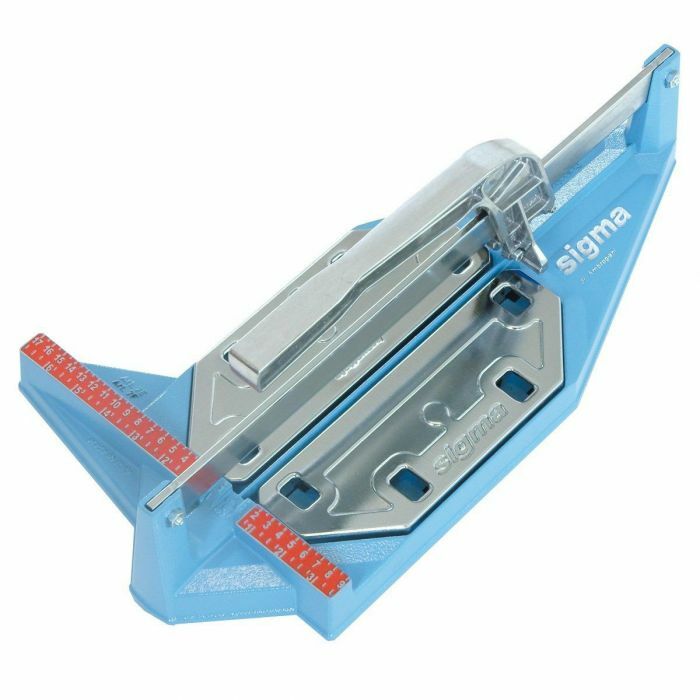 The Sigma 7F Standard Series cutter is a lightweight and compact solution for quality cuts on porcelain and more! 14" Straight Cut, 10" Diagonal Cut. 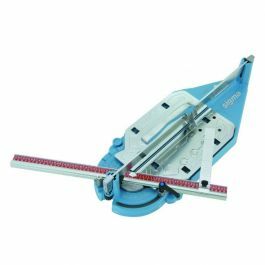 The Sigma 7F Standard Series cutter is a lightweight and compact solution that is designed to make quality cuts on ceramic, porcelain, quarry tile, glass mosaics, pavers & more. 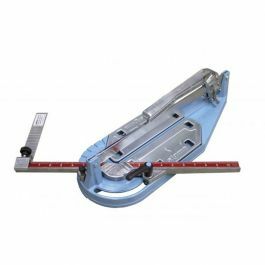 The fixed measurement bar (with measurements in inches and cm) allows the length of tile to be measured from the center of the cutting line. The aluminum alloy/steel construction ensures that this cutter is not only tough, but also extremely light at only 7 lbs.